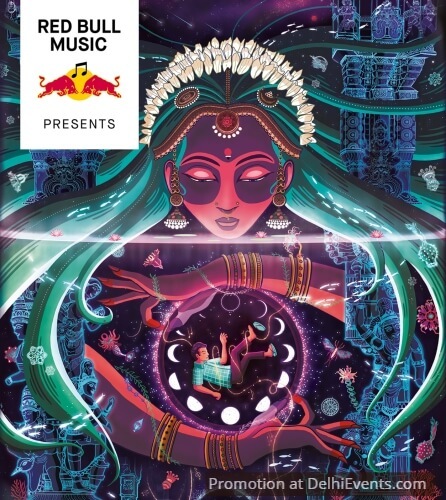 Event Description : DANCE : Red Bull Music Presents Antariksha Sanchar, a fantasy Bharatanatyam dance opera inspired by the adventures of South Indian math genius Srinivasa Ramanujan, scored by a Carnatic-Electronic ensemble and accompanied by stunning visuals from India’s first cultural adventure video game. Hyderabad-based music producer Murthovic (MSR Murthy) heads the six-piece music ensemble. Internationally renowned Bharatanatyam exponent Jayalakshmi Eshwar heads the dance troupe, while Avinash Kumar, is the visual genius behind the video game (a passion project in production for half a decade) and the visuals are developed by his team at Quicksand Design Studio. The show has been over a year in the making, bringing together the world of video games, dance, Carnatic & electronic music like never before.